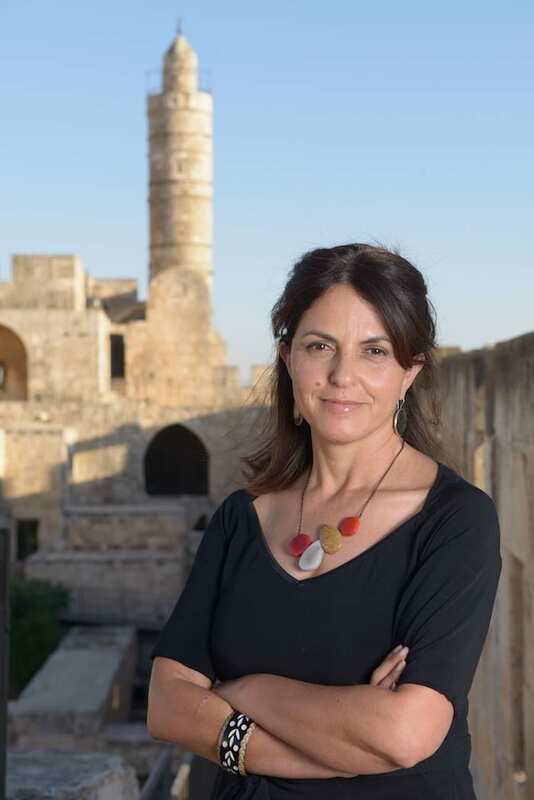 As Jerusalem’s Tower of David Museum prepares to undergo a $40 million dollar renovation, Blooloop talks to museum curator and director Eilat Lieber. She discusses the museum’s extension plans alongside its origins and her own pathway to curation. Eilat Lieber first came to Jerusalem as a young tour guide, undertaking her mandatory national service in the field rather than in the army. Although her family had originally come from Jerusalem, Lieber’s parents had moved away from the city when she was very young. 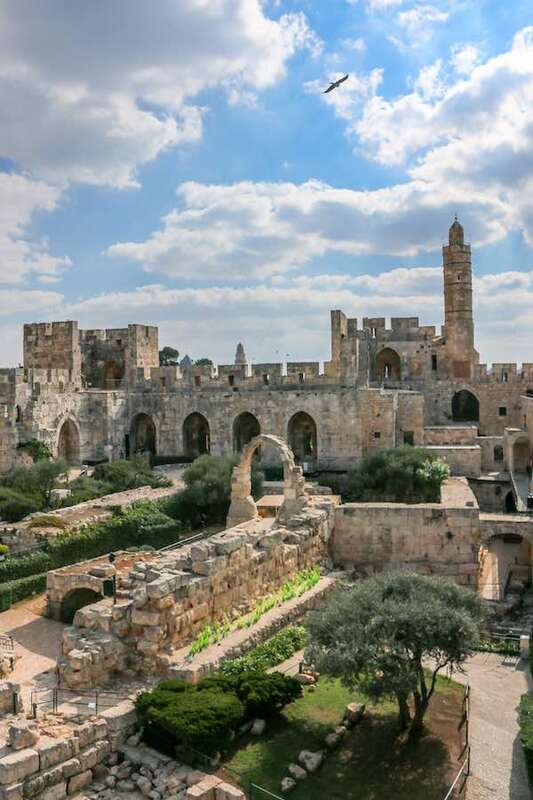 Fascinated by Jerusalem’s turbulent and complex history, she made the decision to live and work in the city, ending up at the Tower of David Museum. After her service, she attended the Bezalel Academy of Art. Her initial aim was to become an industrial designer, specialising in exhibition design for museums. However she swiftly realised she was more interested in the content of museums, so she trained as a curator. Her first post was at the then fledgling Tower of David Museum housed in a citadel built by King Herod over 2,000 years ago. 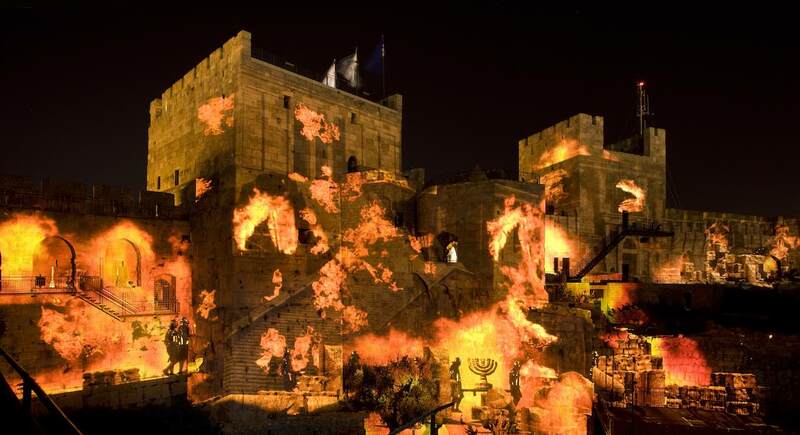 Unlike many museums that use their collection of artefacts to engage visitors, the Tower of David Museum broke with tradition to tell the story of the history of Jerusalem via models and dioramas. “My first position at the tower of David Museum was as the director of the education department,” says Lieber. “It was the most important department because this is not just a museum, but an archaeological site. From the beginning I had to develop the content for an audience coming from all over the world. From the outset, the Tower of David Museum focused on working with all the city’s diverse communities. “Jerusalemites are of varied nationalities, ethnic and religious denominations and languages,” says Lieber. “Jerusalem belongs to everybody. We therefore try to find, for each one of the groups or communities, a way for them to be part of its history. Agnon House grew into a museum celebrating Agnon’s contribution to contemporary Hebrew literature and culture. It educates by giving visitors a glimpse of the famous writer’s home life and family, alongside his literature. Lieber’s work here was a factor leading to her subsequent appointment as Director of the Tower of David Museum. Lieber was delighted to return to the Tower of David Museum. She describes it as “the closing of a circle”, coming back with a wealth of experience and knowledge. The next decision was to open the museum’s innovation lab. This was dedicated to finding new technologies, new solutions for special needs, the next apps and games. 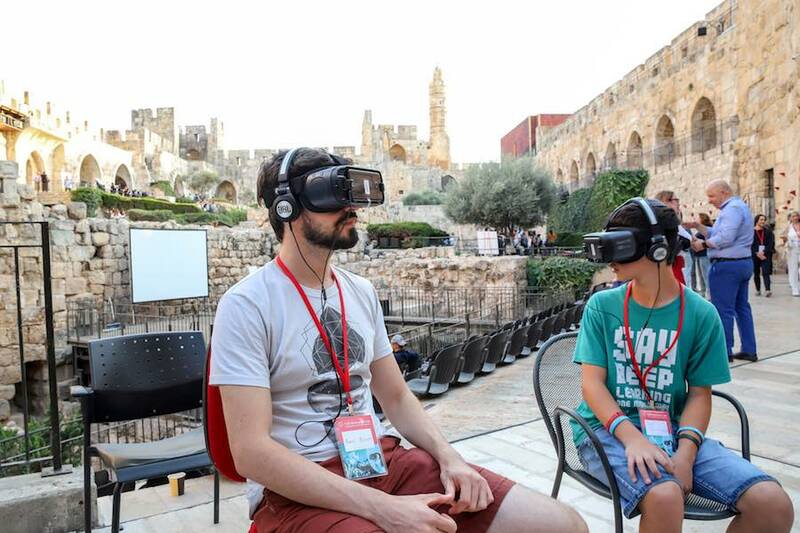 “Interestingly, it is the only innovation lab in Israel with its primary focus on AR and VR technology,” says Caroline Shapiro, the museum’s Public Relations Manager. As Blooloop reported last October, the hi-tech lab launched a range of augmented and virtual reality products from local start-up companies. Visitors were able to explore the museum with AR and VR headsets, including Microsoft’s HoloLens. The lab’s creative technical thinking is also coming into its own with the new expansion of the museum. Part of the renovation’s aim is to make the museum more accessible. Inevitably, when one is dealing with an ancient historical building, this becomes a huge challenge. It calls for balancing accessibility with preservation. “It’s not very easy to add elevators to a heritage building,” Lieber says. 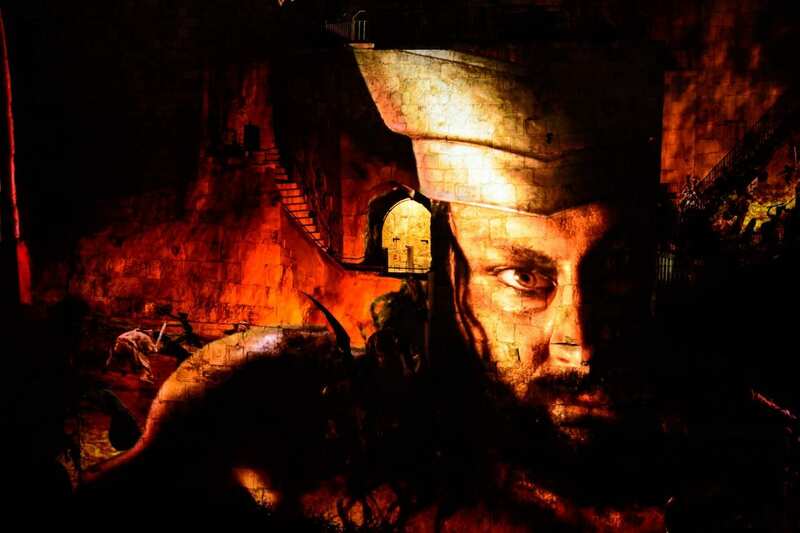 “But we are working to try and find solutions that will keep the beauty of the citadel, while ensuring people will be able to enjoy all the levels in the galleries and feel that they are part of the story. “We have a lot of solutions when it comes to technology. Over the last few years we have engaged with different technical companies, and opened our innovation lab. This was because we realised the potential of technology. As a solution, as a language, and also as a means of engaging the young with the content. 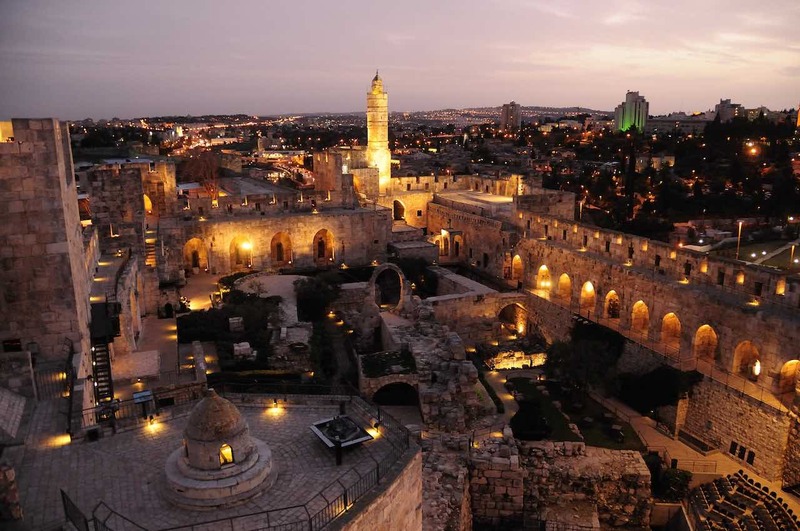 Cutting-edge technology underpins everything in the Tower of David Museum. 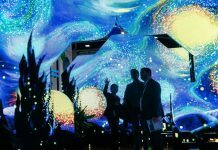 Its AR, VR and night-time trompe l’oeil shows are a huge draw. 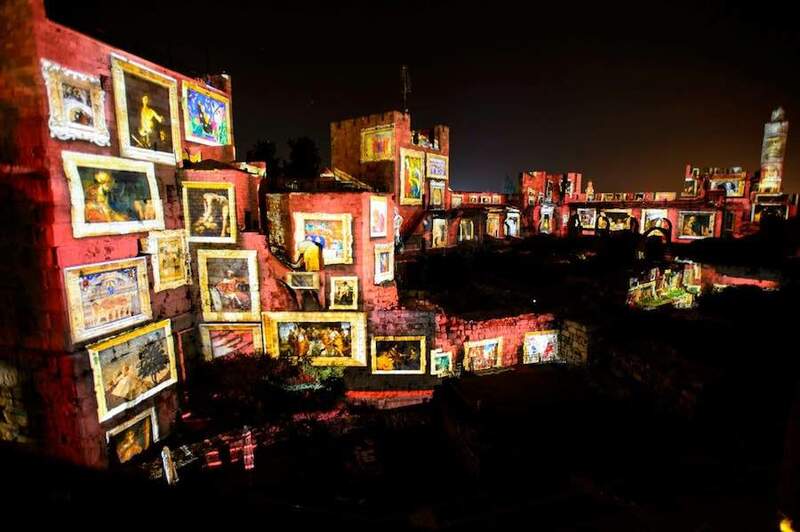 In these, the citadel’s walls serve as a canvas for spectacular effects. 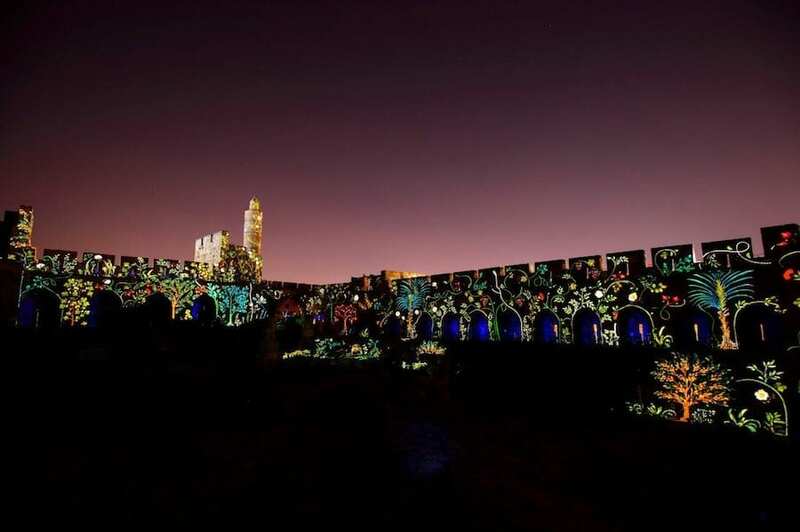 Fully booked almost every evening, the ‘Night Spectacular’ tells the story of Jerusalem in a stunning array of images projected onto the walls, archaeological ruins and pathways of the Citadel. The show has been running nightly for a decade. 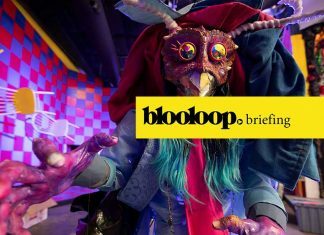 Earlier this year, as Blooloop reported, the world-renowned show was given a makeover. The AV equipment was replaced and the show was taken to the next level. 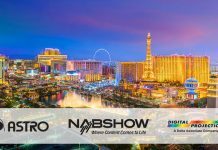 Showlogix designed the technical elements on the experience relying on Digital Projection’s award-winning laser projectors to power the show. 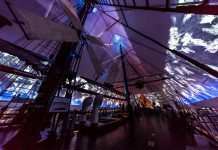 15 Digital Projection projectors were deployed across the site in total – 13 of the brand new M-Vision Laser 18K and two E-Vision Laser 8500. 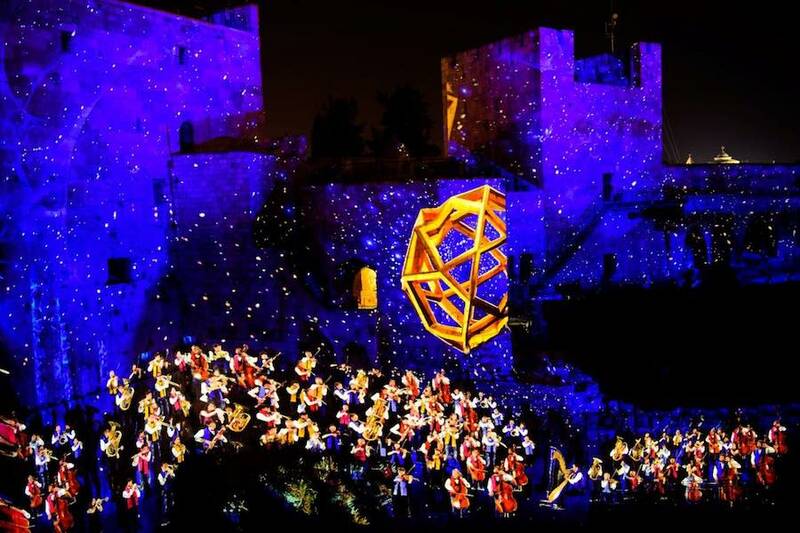 Together, they illuminate the walls of the Citadel with 250,000 Lumens and 35 million pixels. The hardware investment approached $500,000 USD. 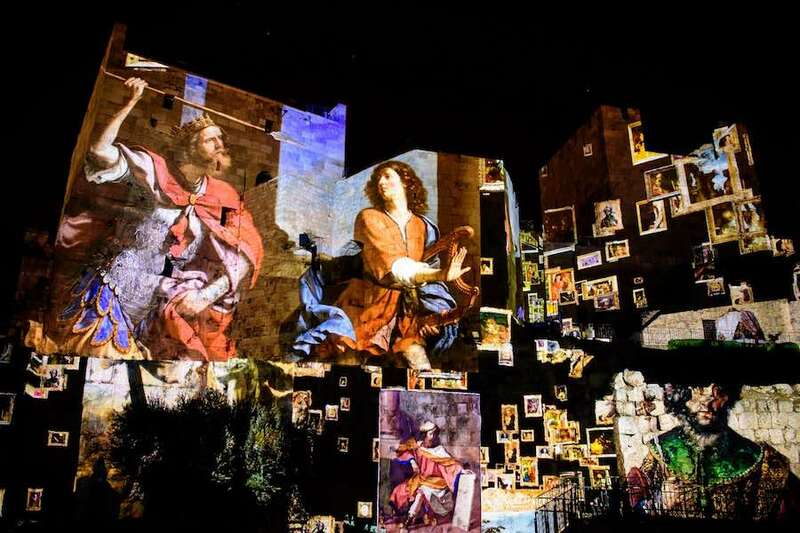 In April the Museum opened a new night show called KING DAVID that brings the story of the famous shepherd-to-king to life in a multi-sensory experience. The Tower of David has always been impressive. It’s an incredible archaeological site and a piece of ancient history. 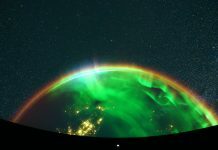 However Lieber saw beyond that, recognising its potential to engage new audiences and expand visitor numbers. She cites the example of a popular exhibition, which went on to tour Milan and London. It looked at Jerusalem as an inspiration to designers educated at the Bezalel Academy of Art; people who had been born here in Jerusalem, and whose families came from the old city. “They had never looked to Jerusalem as the source of their inspiration. So I asked them to come back to the old city, to try to find their sources here in a creative and amazing exhibition with a lot of humour and a very fresh look at our city today.” One of the professors, Ezri Tarazi, created coffee tables with different themes. Committed to showing Jerusalem’s many aspects and the richness of its diversity, Lieber continues to seek ways of opening communication and encouraging collaboration with different communities. As Blooloop reported earlier this year, work on the museum’s $40 million revamp and expansion is set to begin in 2019. It is expected that construction will be completed by 2022. The project will see the size of the museum nearly double. It will grow from from 7,895sqm to 15,000sqm with the permanent exhibition increasing to 4,000sqm. It will add a new entrance complex and new wings for contemporary art. Kimmel Eshkolot Architects developed the plans. The project has been financed primarily by the Clore Israel Foundation with contributions from the government, the Ministry of Tourism, and The Jerusalem Foundation. A very exciting part of the renewal of the museum is the construction of a new wing. This will incorporate the historic Kishle building in which recent excavations have uncovered 3000 years of history in Jerusalem within one relatively small space. The building is actually a prison built by the Ottomans. 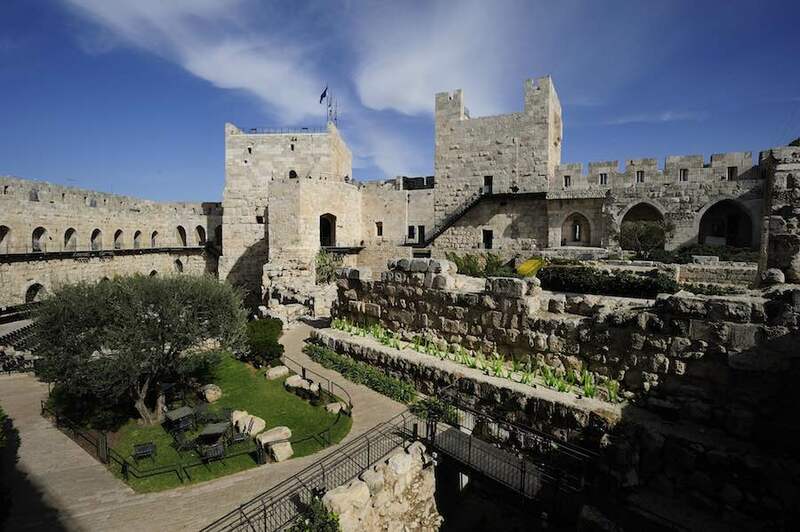 It also contains artifacts and remains that trace Jerusalem from the days of the First Temple, through the era of King David, to the Crusader Kingdom and up to the struggle for the modern State of Israel. Lieber points out that it was never meant to be a museum. “The entrance to the citadel is in the east,” she says. “When it was built, the city was very small – just a square kilometre. That kilometre is now the old City of Jerusalem.” However the ‘new’ city now lies to the west. “We want more people to enter the citadel. And for the citadel to be the gate to the city,” says Lieber. To facilitate this, the renovation also will include a new glass entrance from the western side of the citadel. This will connect to the outdoor Mamilla mall through the ancient Byzantine bathhouses under the Jaffa Gate. All images kind courtesy the Tower of David Museum.